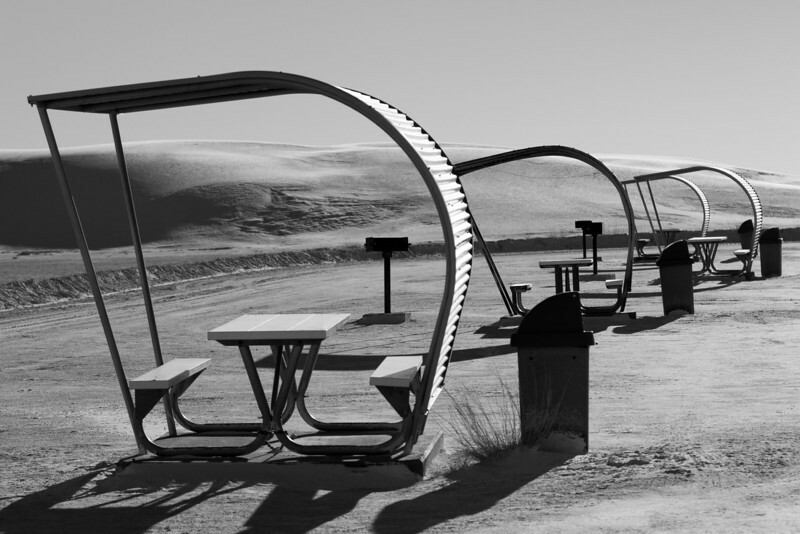 Picnic shelters located in White Sands National Monument. From a distance, they look like some futuristic type of sculpture. Up close, they look more like some structure from the 60's or 70's. The corrugated siding blocks the harsh New Mexican sun at its strongest points throughout the day...up high and to the west. White Sands National Monument doesn't get much press in comparison to other national attractions, but it is one of the cooler places I have visited.